This is the first Christmas card we are posting in the run-up to the holiday season. It was made with PicMonkey. Some of the filters and effects are only available when you subscribe to the premium version, but there are some cool ones you can use for free too. You can sign-up for your free trial here. This post contains affiliate links. If you make a purchase via a link I will earn a small commission. Athena! 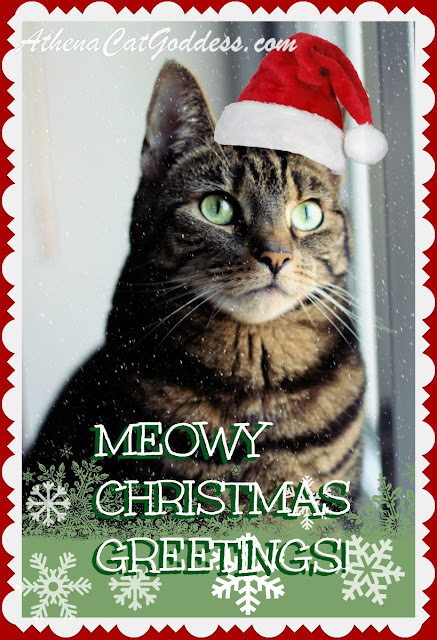 Your Meowy Christmas Card is fabulishious! I LOVE it! Wow, your card is amazing, Athena. We use Pickmonkey too. We're loving that Christmas card of you, Athena! What a lovely Christmas card, Athena. It's a lovely card, Athena. You have such a sweet look on your face. That's a beautiful card, Athena. Even though We don't celebrate Chrissymouse, We love Chrissymouse cards (mol). 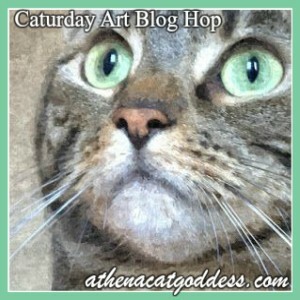 What a beautiful card and you are the purrfect subject Athena! This iss a beeuteefull Kissmas card Athena!! Miss Marie you are so talented!!! What a gorgeous Christmas card Athena! It's definitely that season now!! You look so adorably festive, Athena! This is too cute and festive, Athena! If we weren't already in the Christmas spirit, we sure are now.